PHOENIX—SureStay Hotel Group, a white label franchise model that operates as a separate subsidiary of Best Western Hotels & Resorts, has opened hotels in Tennessee, Illinois and Wyoming. The SureStay Plus Hotel Chattanooga Hamilton Place in Tennessee has 35 guestrooms, each with a flat-screen TV, microwave and mini-fridge. The property also offers free WiFi and a complimentary full breakfast every morning. It is located close to area attractions like the Tennessee Aquarium, Discovery Museum, Lookout Mountain and Ruby Falls. 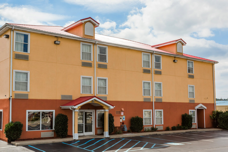 The SureStay Plus Hotel Chicago Lombard in Lombard, IL, has 128 guestrooms, each with a mini-fridge and free WiFi. This property also has a fitness center, business center and meeting space. It is located near major corporation headquarters like McDonald’s Corporation, Waste Management and the Kia automotive testing center. It is also a short drive from Chicago. The SureStay Plus Buffalo in Wyoming has 63 guestrooms and two suites. All rooms come with a flat-screen TV, microwave and mini-fridge. The hotel offers free WiFi, a fitness center, indoor heated pool, hot tub and meeting room, and is located near several major thoroughfares—I-90, I-25 and US Highway 16. The hotel is on the Cloud Peak scenic route of the Big Horn Mountains. It is also within route of Yellowstone National Park and Mount Rushmore.